A Staghorn fern is a type of green, leafy plant that needs plenty of water to thrive. If your Staghorn looks wilted and on the verge of dying, there are a few techniques you can use to help perk it back up. Doing so can give new life to your plant. To start reviving the Staghorn, cut back all of its leaves until there is just one inch of frond sticking up over the soil. This will remove all of the dead leaves and allow for new growth. Be sure not to cut below one inch, however, as the plant pieces need to be above the soil to grow. Soak the roots of the fern in a bucket of warm water to encourage the plant to stay moisturized. Change the water every day. Keep up this soaking process for a few days, until the cut fronds begin showing some new growth. Next, remove the Staghorn from the warm water but continue to water it regularly. If the fronds begin showing new growth, use a fertilizer to help the new leaves thrive. Spread a bit of plant fertilizer over the top of the plant's soil and let the roots soak it up. Add more fertilizer every few days, or whenever you notice the soil drying up. 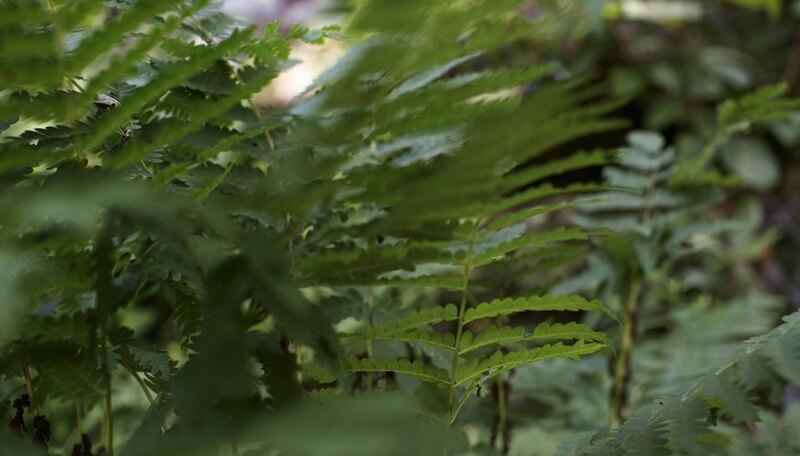 If your fern does begin to thrive, take some steps to ensure it doesn't begin to wilt again. Keep it watered, as regular moisture keeps a Staghorn fern perked up. Also, keep the plant in medium light. The fern needs some natural light, but not too much.